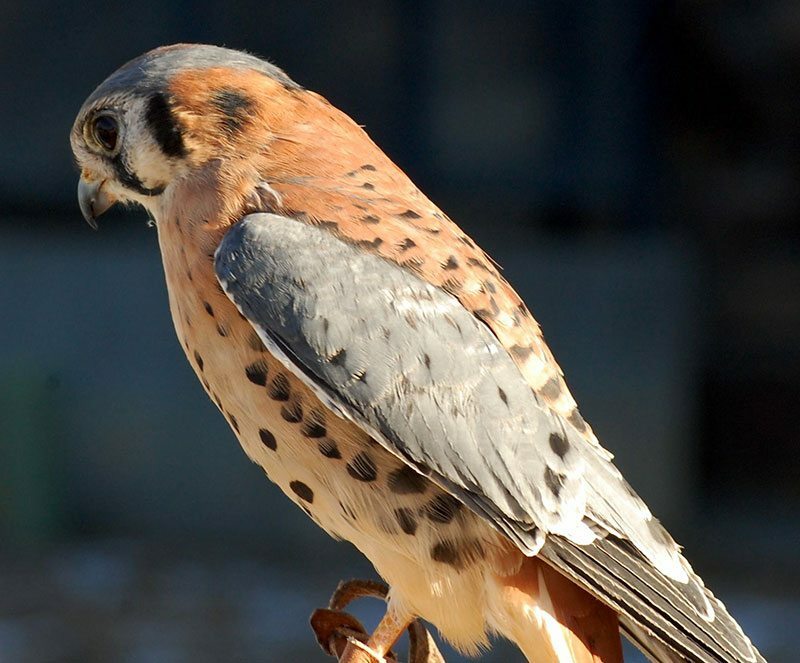 The smallest member of flock of raptors, Salem is an American kestrel. Likely hit by a car, Salem has suffered trauma to his right eye and has lost vision in that eye. This handsome little fellow was found along a road near Salem, Utah—hence his name. Not only was he nearly starved, but he had suffered severe trauma to his right eye, most likely from colliding with a vehicle. Because of the trauma, he has lost vision in that eye, making it impossible for him to be returned to the wild. The American kestrel is the smallest falcon species found in North America, typically weighing three to six ounces—that’s less than a roll of pennies! 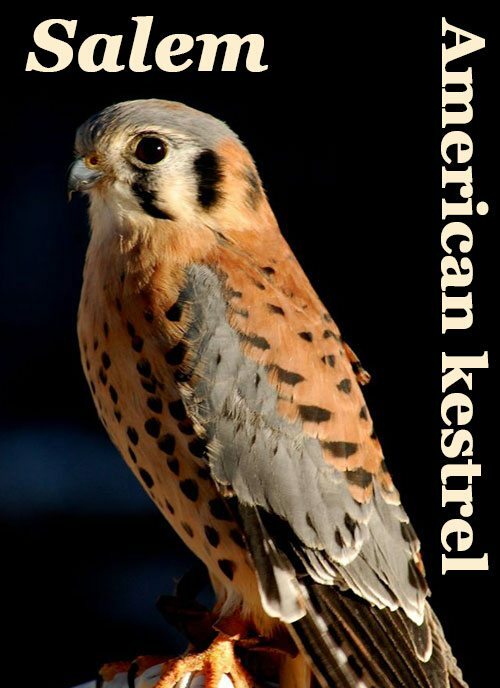 Kestrels primarily hunt small mammals, insects, and some small birds, particularly in fields and meadows. They are extremely common throughout the country and are often spotted on power lines and fence posts throughout Wyoming. Salem is now a part of the Raptor Experience, and joins our other birds for programs at the Buffalo Bill Center of the West and at schools, churches, libraries, and other venues throughout the region.